I am not supplying answers in this article but merely presenting “talking points”. I will review a little history of assembly life over the past 50-60 years as a starting point. In the 1950s and 60s Sunday Schools attracted children, DVBSs were common, and there were almost no restrictions on what could be done. It was not uncommon for unsaved adults to show up at the Family Bible Hour, and a series of Gospel Meetings was a yearly occurrence in many places. In the 1970s, 80s and into the 90s, Sunday School attendance declined but mid-week children’s clubs attracted a good number of children. Fewer people would just “show up” for meetings and it proved more difficult to get the unsaved out to gospel meetings. The number and frequency of conferences and teaching series (week of meetings) decreased. Youth groups declined in number in many assemblies and in some places disappeared altogether. Even in assembly life, there has been a shift in attendance and commitment. Not everywhere, but in many places numbers have declined at evening meetings, both Sunday night and mid-week. Sunday Schools are small in number and it is hard to run children and youth programs. More assemblies are starting to re-evaluate Sunday night meetings and some are (or have already) cancelling the services due to lack of support. The older saints will come out mid-week or for special meetings, but the younger generation is nowhere in sight. As this shift has taken place, most assemblies have adhered to the same pattern of meetings. The Biblical pattern is found in Acts 2:42 as the four fold description of assembly life. The early Church practiced these four activities. They probably functioned in a different format from what is common to us. Those saints most likely did all these things on a Sunday as an extension of their time together. The pattern applied to the “assemblies” is to have separate times for these activities. The Breaking of Bread, teaching and prayer are spread throughout the week while most hope fellowship will happen. There is no hint in Scripture as to how (format) and when (time) these should happen. The Lord’s Supper as a distinctive meeting is important to a local church. This elevates worship and gives the Remembrance of the Lord a central place in assembly life. It also gives visible expression to the Priesthood of believers. (See “What’s Up With Worship” – GFP). It may be time for some assemblies to look at how the other aspects of Acts 2:42 may be orchestrated. Corporate prayer could take place on a Sunday. I have heard of some assemblies where corporate prayer follows the Lord’s Supper. Another I know of has a lengthy time of prayer one Sunday per month preceded by a fellowship supper. It may also be time to consider other means or formats for teaching, exhortation, and equipping the saints. As our culture shifts we can bemoan the fact that things are not like they used to be, but that will not change the reality. Assemblies have lost people to other local churches that function in a different way. Some of this may be simply because it is easier to sit in a large congregation and not be overly involved. However, it may be that there are facilities and programs beyond our ability, and perhaps our convictions, to provide. Some good families have left because other places do things differently. Depending on where these people end up, it may be due to the quality of the preaching. Often the preaching is expository in nature, and at a level that is consistent. It may be the format – Sunday morning only and a mid-week home study, which focuses on the Sunday sermon. In some of these local churches, there is a high commitment to outreach, perhaps fostered by the numbers and the facilities. I travel around various places and see the trends. Let me say, there is much in our “meetings” to encourage. The Lord’s Supper is still appreciated and a unique feature of the “assemblies”. There are young men who are serious about the Lord’s work, Bible study, and the local assembly. The recent week of prayer in Kansas, the Men’s Conference at Guelph, the Rise- Up Conferences and other such gatherings give evidence of serious concern and involvement by the younger generation. At our assembly we have changed Sunday. We stay for lunch and have a conversational study that starts by 1 pm. The lunch gives an opportunity for fellowship. The study gives a chance for younger men to participate. The numbers are higher in comparison to the evening meeting and the attention of the saints is far better in a study compared to a sermon. This schedule has not worked in some places but for us it solved a number of issues. Some of which are a second long drive in one day, night driving, and fellowship for those who are single. As stated at the beginning of this article, I do not have the answers nor a “thus says the Lord”. It is good to stop and think and to consider other options. Consider the situation described in Acts 6, a new problem that was beyond their experience. The Apostles responded in a pragmatic and spiritual way as they looked for a solution to the problem. Gary and Gloria were first commended to Zambia and then to Northern Ontario and there they were involved in the work at Northland Bible Camp. After twenty-eight years in the North they moved to Southern Ontario for nine years and were involved with New Life Prison Ministry (nlpm.com) and itinerant ministry. 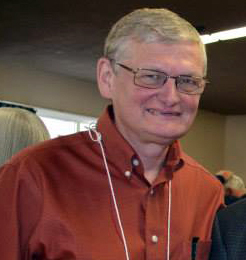 Gary and Gloria are now back in Northern Ontario, Gary is still involved in writing and broadcasting on Hope Stream Radio and an itinerant ministry. 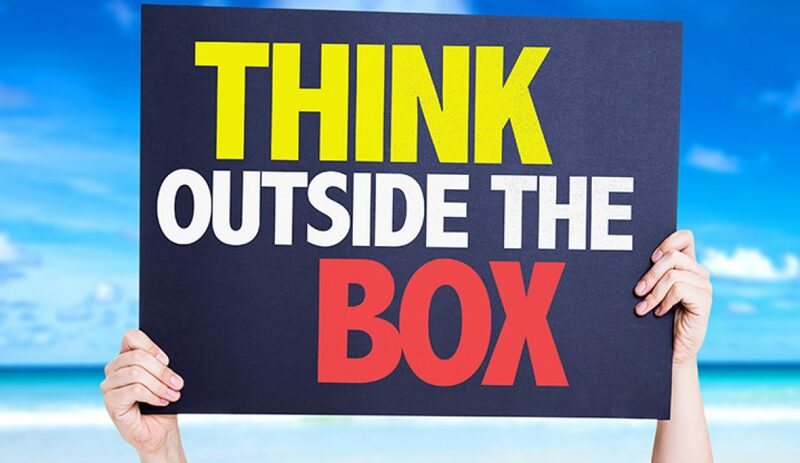 4 Responses to Think Outside the Box! Gary, I totally agree with you! We attended an assembly in Ohio that many members traveled long distances and some worked shifts making it difficult to attend. The Sunday consisted of breaking of bread, Sunday School for both children and adults and then the family hour. There were plenty of other activities but the core time on Sunday was good and engaging. We also had an awesome time of food and fellowship. Wednesday eve we had a real prayer meeting, during which, we would get prayer requests together and then separate men and women’s time where all requests be addressed in prayer. This was very encouraging to both men and women and most of the believers actually attended! As always, appreciate Gary’s insights. The comment that this ‘doesn’t work in every place’ is very important. Every assembliy is in a particular location and culture. Some, though quite close geographically, are in a quite differnt culture. This highlights the importance of the aotonomy of every assembly. In practical terms this means each assembly must be led by a group of elders all looking to the Lord for His directiont! Like, Gary, I travel around various assemblies and am happy to fit in with their program. I really like the idea of a fellowship lunch followed by another session right after; but, where it works, I also appreciate the beauty and joy of an evening meeting (probably because I grew up enjoying that). It is the responisibillity of the elders to make sure that the flock is fed! That being the case I would urge elders to seek the fellowship of all the believers as to when works best for them and their family. One other thought. Some seem to want to rush of to something ‘new’ before they have much understanding of the ‘old.’ Some want to think ‘outside the box’ without having much understanding or appreciation of what is ‘inside the box.’ This is why elders need to be mature (not necessarily old), spiritually qualified men who are led by the Holy Spirit ! I generally agree with this article but would add that I see the decline in assembly attendance to several factors. (1) an over emphasis on issues such as headcoverings to the exclusion of sermons that exalt the Gospel, or the attributes of God, His sovereignty, mercy, justice, etc. (2) little or no exhortation on the practical daily disciplines of Bible reading/studying and prayer (3) an increased commitment to our denominational distinctives resulting in an exclusivity that does not foster fellowship with believers of other communities of fellowship. Why–if your assembly is in decay–do you not join with other believers, at least for prayer? I know of one assembly whose property adjoins another evangelical church. The assembly has dwindled down to less than 10 people. Why not meet for prayer with believers of the adjoining church?? We say we believe in the priesthood of all believers, but in practice that only applies to those in our assemblies–our denomination.